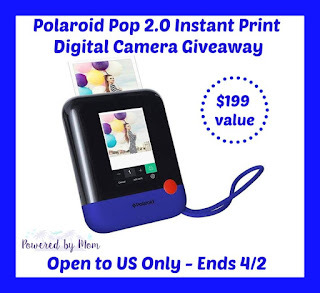 Read Powered by Mom's Review on the Polaroid Pop Instant Digital Camera. I am definitely dating myself but I remember when these marvels of invention were introduced. They seemed like magic to my then young self. I don't know who owned it but I remember taking a picture or two and then watching as the picture was delivered to me out of the front of the camara! 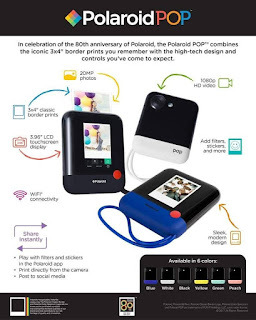 I am glad to see that Polaroid is still in business. Of course the camera is a lot smaller now--This is one camera I would still love to own! Don't let your photos get stuck in your photo roll. 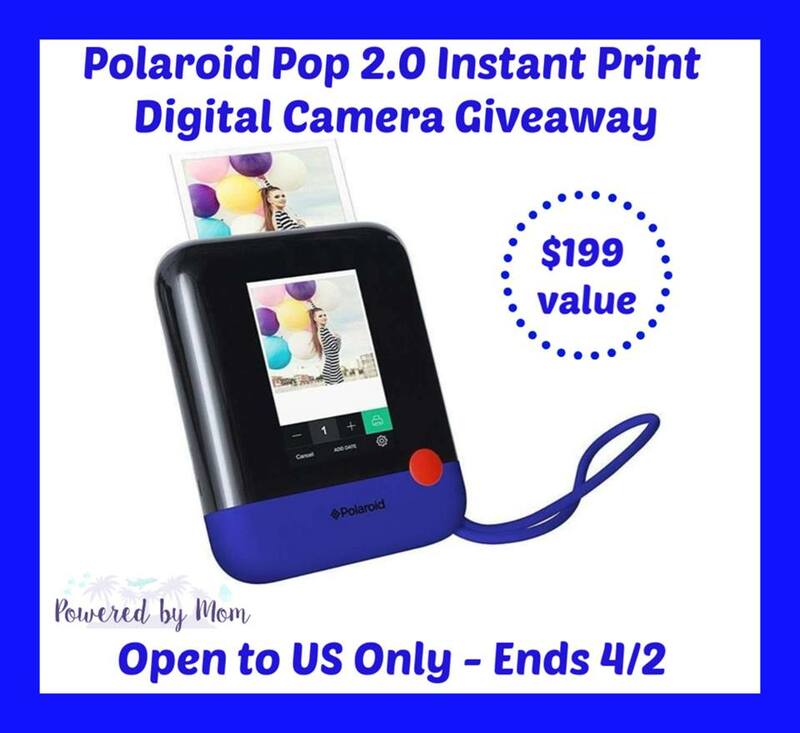 Capture the fun and instantly print 3x4" photos on the classic Polaroid border and size everyone loves! You can even use the touchscreen to draw and add stickers to your prints. The perfect combination of modern and vintage, the Polaroid Pop is a must-have for spring fun! I would take photos of my cat!